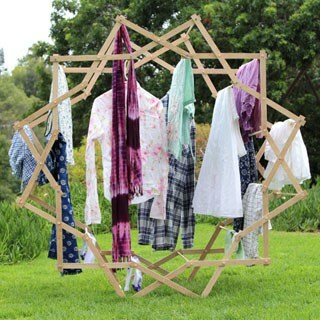 What do marshmallows, garden hose, old sweaters, and bicycle wheels have in common? 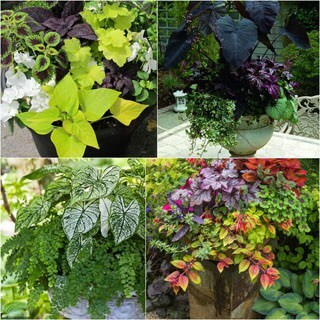 They can all be made into gorgeous wreaths! Wreaths are so festive. Now the holidays are getting closer, I find myself daydreaming about all kinds of wreaths I could make. 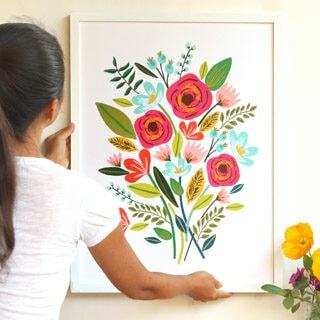 Here are 15 super creative DIY wreaths I want to share with you – I hope you are as inspired by them as I am! 1. 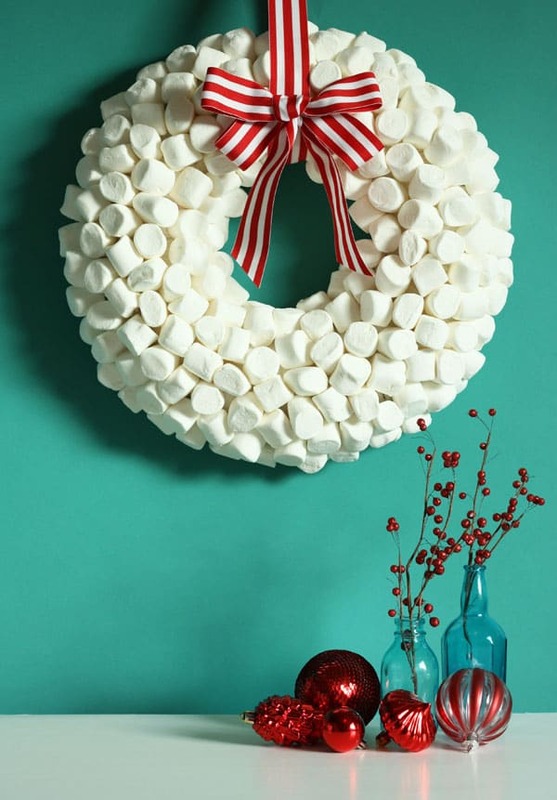 Marshmallow wreath : this piece of eye candy, literally, made by The Sweet Escape is just delicious in so many ways! 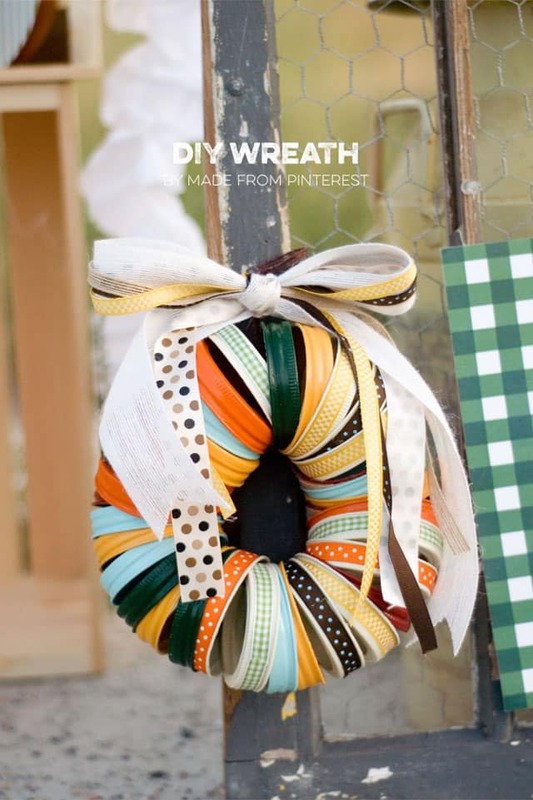 You may also love: the fastest way to make wreaths with a Dollar Store hack! There are Christmas Sweaters, so why not Christmas Sweater Wreaths? 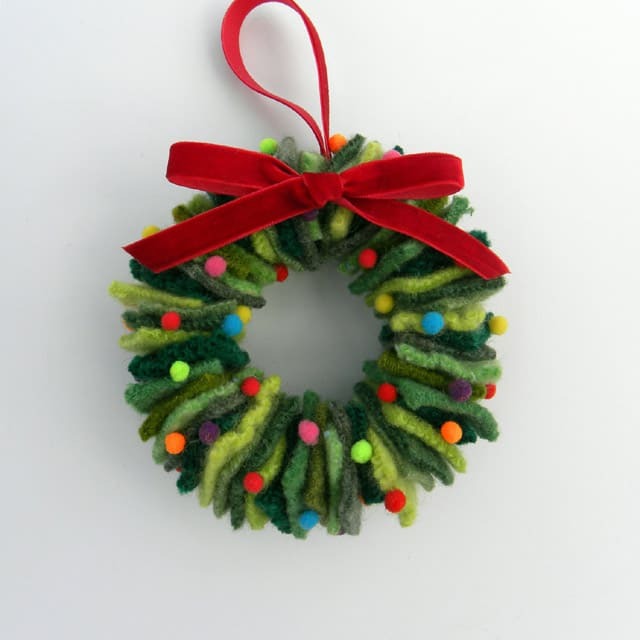 Adorned with little pompoms, this wreath will make you feel so warm and fuzzy on a winter day! Found on This Old House. 3. 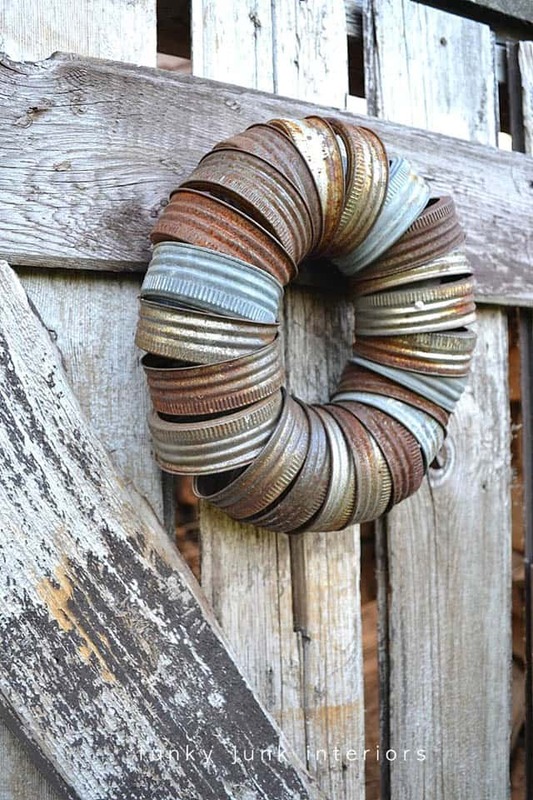 Wreath Made of Canning Jar Lids : Talking about re-purposing, how can I leave out the Queen of Creative Up-cycling, Donna at Funky Junk Interiors? So simple yet so stunning, this wreath transports us to those happy days on a sunny farm with smells of ripe apples. 4. 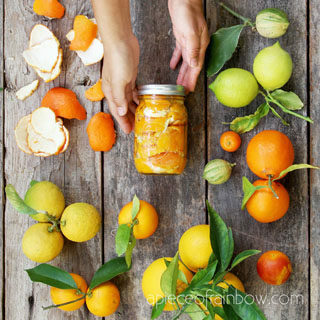 Colorful Mason Jar Lids Wreath: totally different and equally gorgeous, and no we are not going to choose between this one by the creative sisters of Made From Pinterest, and Donna’s rusty beauty, we have to have them BOTH. 5. 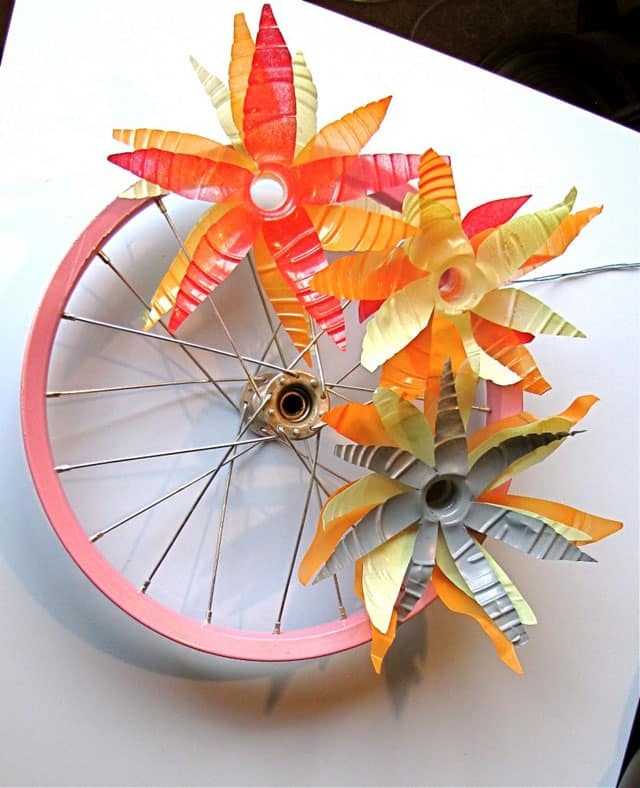 Bicycle Wheel and plastic Bottle Wreath : ingenious is all I can say about this wreath. 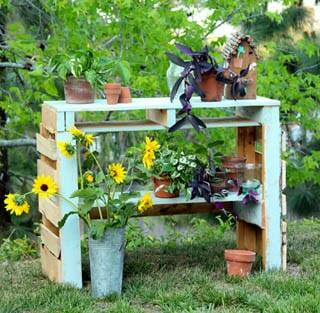 While you check out Victoria’s amazing DIY at A Subtle Revelry, I am off to collect plastic bottles! 6. 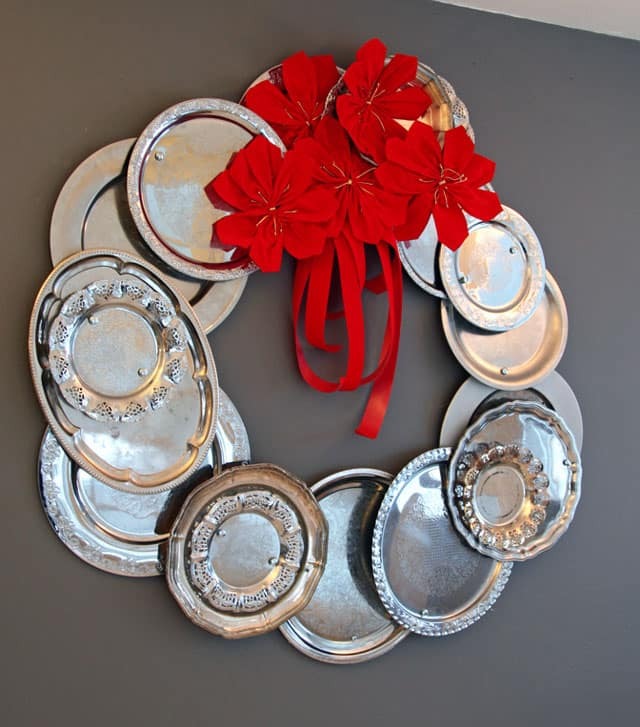 Silver platter Wreath : If you have a big empty wall to cover, gather some old silver platters! With the help of plenty of hot glue, you will have a giant wreath that’s a show stopper! 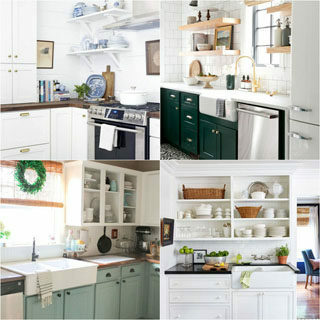 Visit the tutorial at Recreate Design Company. 7. Book Pages Wreath : the super talented Angie at Knick of Time has made so many drool worthy things, this wreath made of old book pages is so full of charm and elegance – drooling again! 8. 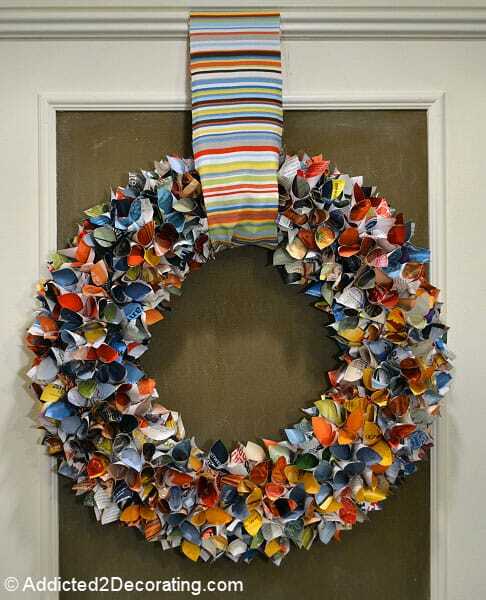 Upcycled Magazine Wreath: What a transformation! This project by Kristi at Addicted2Decorating is simply amazing and so accessible to everyone, just imagine all the possibilities! 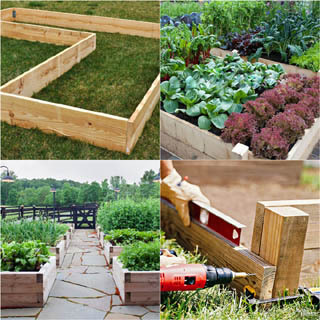 DIYer have great ideas ! 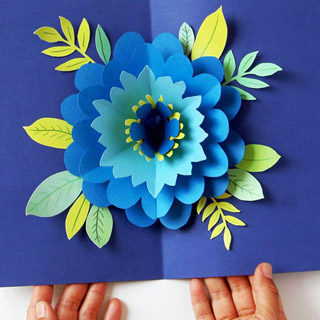 Loving the book pages wreath so much! 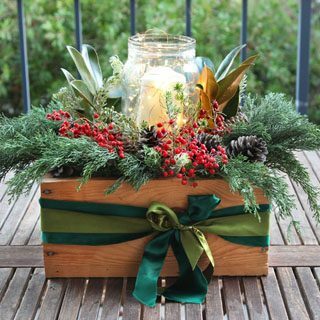 Such a great vintage touch, and could do a holiday story as an added bonus… Thanks for sharing – terrific holiday inspo! thank you maryn! angie is so talented isn’t she? These are really unique and inventive. Based on this post it seems like as long as you can ultimately shape something into a circle you can make a wreath out of it! Being a foodie, I have to say the marshmallow one is my favorite – I would get to eat some as I made it! OH man, these are all gorgeous! 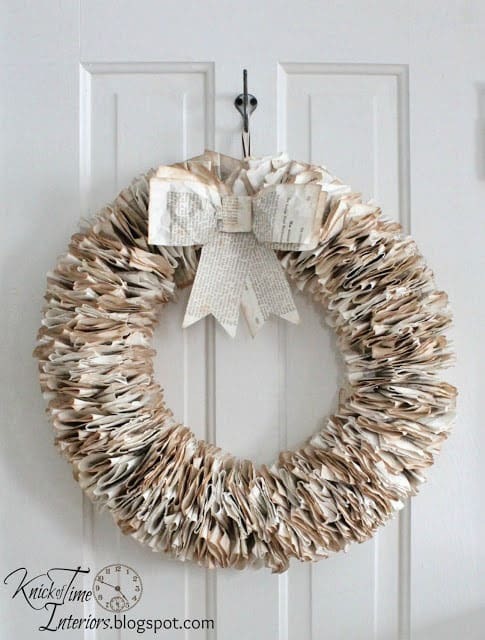 I am a huge fan of the book pages wreath. But I would have to find very old books at a yard sale because I would hate to rip up my own books! So creative! I LOVE the garden hose. thank you julianne! it’s so springy! I love the marshmallow wreath! 🙂 How neat are these? Thanks for rounding these all up! I was going to tell you the ones I like the most, but I can’t choose! I need them all! Truly eye candy! They are indeed stunning wreaths. I can’t choose. How creative is all this! I’m loving them all and now want to go out and make one. Such a fun roundup! Thanks so much for including me 🙂 Pinned! These all look so cool! I think the marshmallow one is my favorite but they are all awesome ideas! Great post! What great wreathes. I love the Marshmallow one. 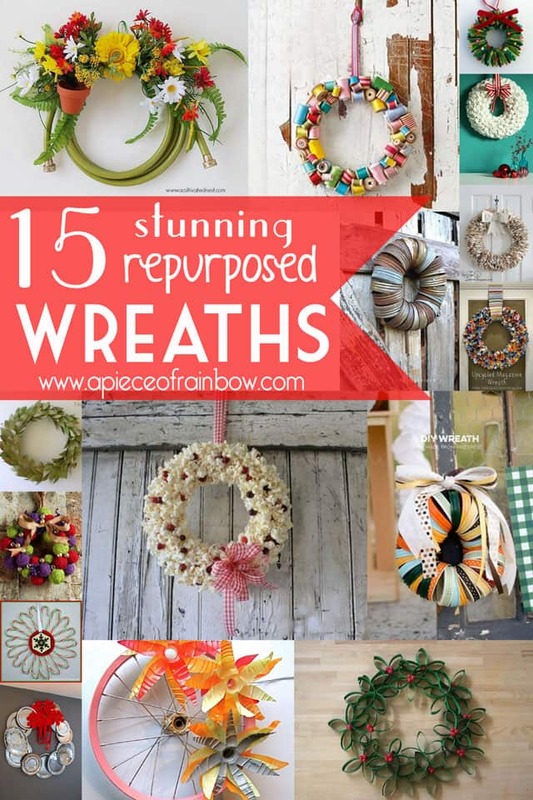 Ananda, I love this collection of wreaths! They are so pretty and creative! 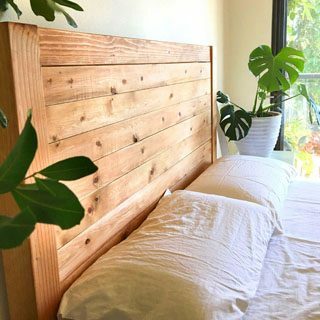 Did you see that I gave your Trader Joes Lamp a shoutout in my post? http://www.inspirationkitchen.com/2014/11/03/corn-leek-saute/ I love your lamp! I need to make one, and I **LOVE** how yours turned out. I’m crazy about your lamp, I can’t stop looking at how pretty it looks all lit up! http://www.apieceofrainbow.com/diy-pendant-lamp-from-grocery-bag/. Such clever wreaths! I love the book wreath and the marshmellows are so cute! Aw I just threw away almost an entire bag of stale marshmallows left over from our last long weekend… I totally would have made that wreath! It’s so fun!! These are all so cool. I love the yarn ball and the pages wreaths. Pinning for later! 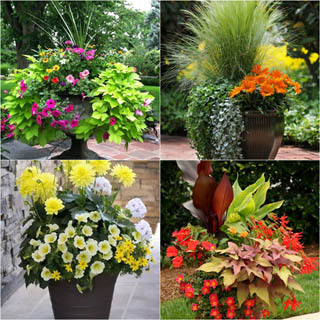 I love all the ideas, they look store bought. Definitely doing. Thanks for sharing. These are all so creative! Love that marshmallow one! On the yarn ball wreath you could also use different size foam balls or make paper balls and wrap just enough yarn to cover the balls good! That way you can enjoy the wreath and yarn at the same time!